The style 'Colorblock' started when we were brainstorming a pattern for a Revolution bag giveaway. We had seen a lot of color block in apparel, very cool dresses and tops, and an overall trend of combining of unexpected solid colors. We wanted a bag that was fairly gender neutral and before we knew it, the idea for a color block bag was born. I started by layering block upon block in all different sizes and then the pattern really evolved organically. 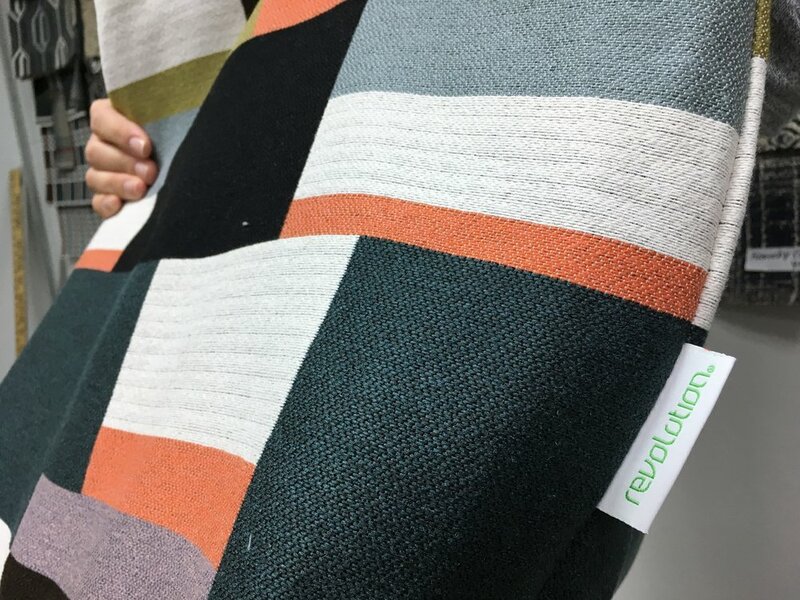 I was very proud of the final result, appropriately named 'Colorblock' and it is Revolution! Not only is it a cool bag, it makes a great accent pillow, ottoman or chair. Check out some of the photos that I found inspiration in for creating Colorblock!